From Captain's Daughter to Army Mom: Persistence Pays Off for the Birds! 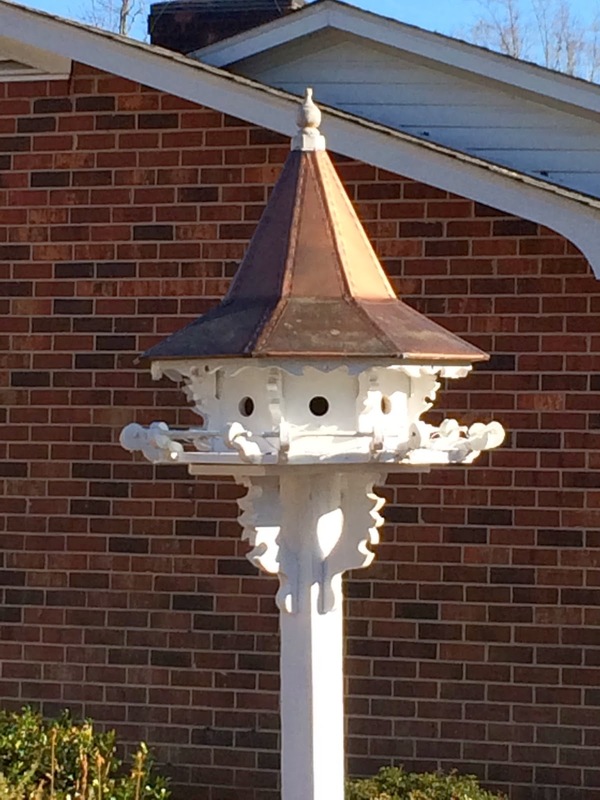 immediately called it my K-State Victorian Birdhouse. It was a must-have! had in storage. And then, I waited. And, waited... And, I waited some more! 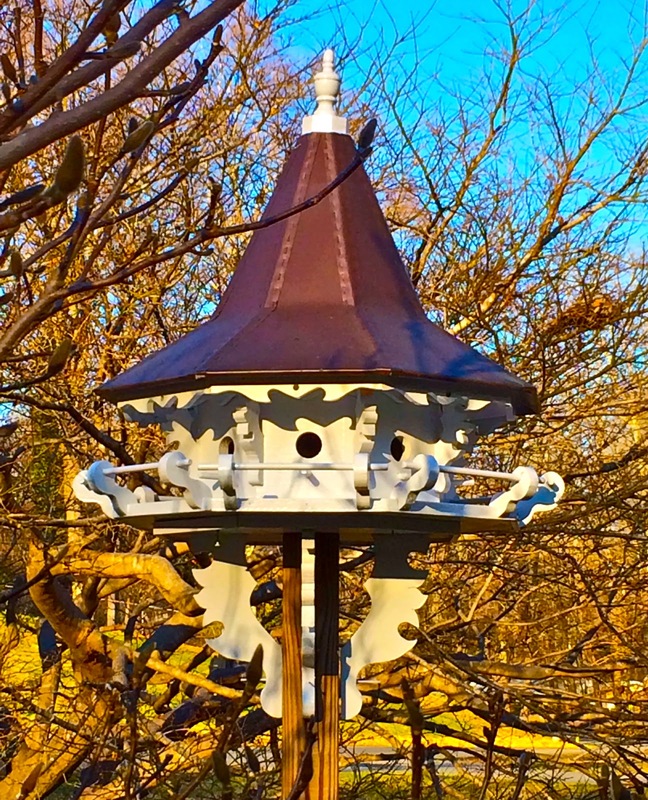 to substitute for the bird house I really wanted. The one Todd had! 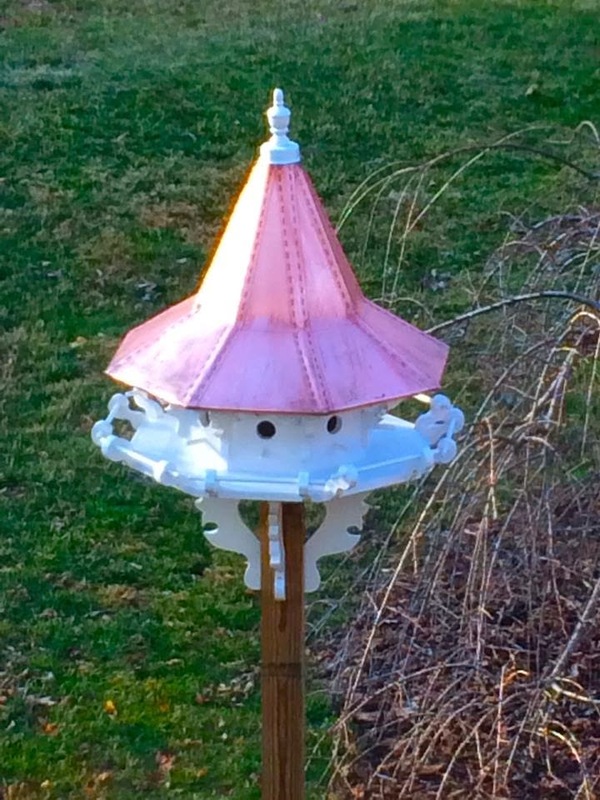 birdhouse you have, so anytime you're ready to sell please let me know! 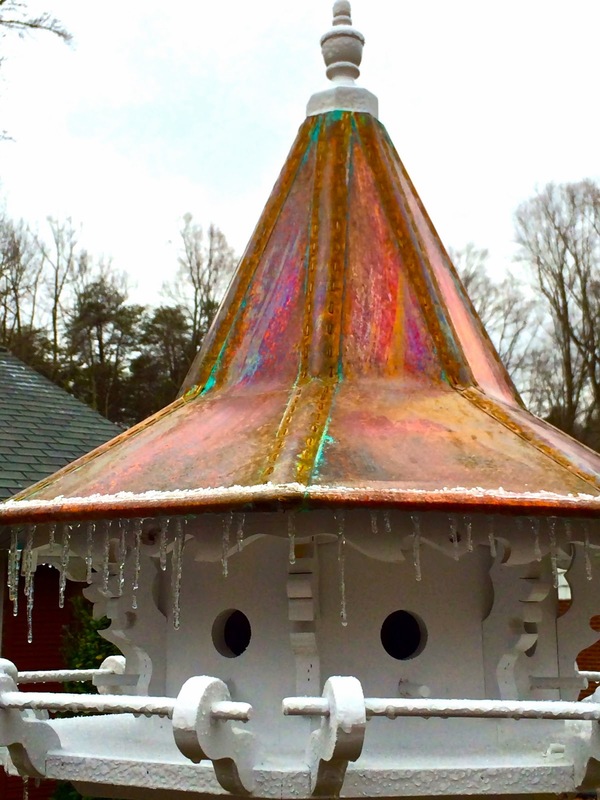 Doesn't it look pretty here in our front yard? I think it was worth the wait! 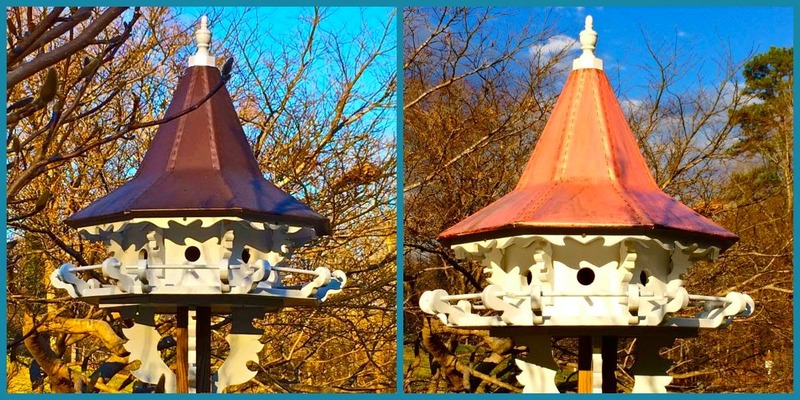 all these years the copper roof needed a bit of polish! Nothing a little Twinkle couldn't handle though! the old patina more. What about you, which look do you prefer? 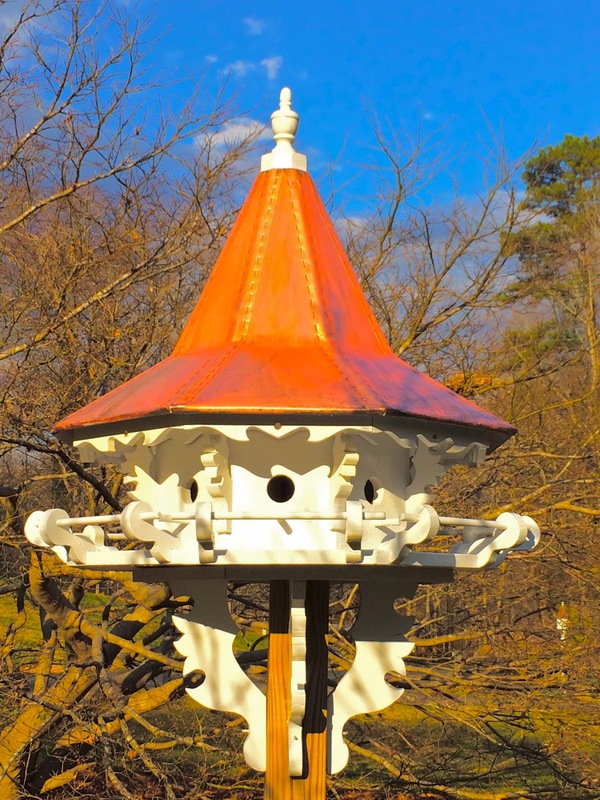 already seen bluebirds sitting on their gorgeous new wrap-around porch! And, look! Mother Nature is already at work on the new patina! 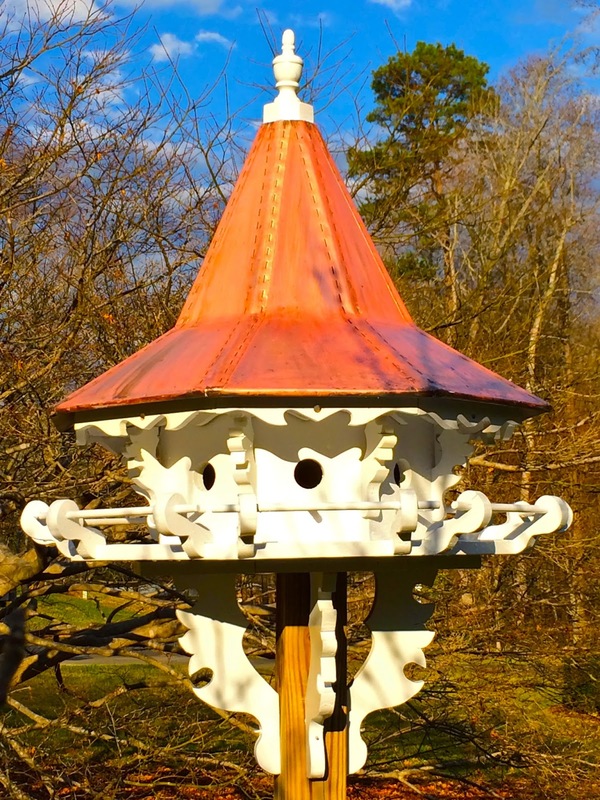 Birds and new Birdhouses for Spring... I think they're a really Good Thing! Janet that birdhouse was definitely worth the wait. I'm hoping this year we can finally start landscaping our property. I am soooo looking forward to your garden pictures this year after such a rough Winter. I think so too, Valerie, thank you! It's snowing here today (03/25) so I'm afraid Spring is really making us wait this year! How kind of you to say, Amy - Thank you! 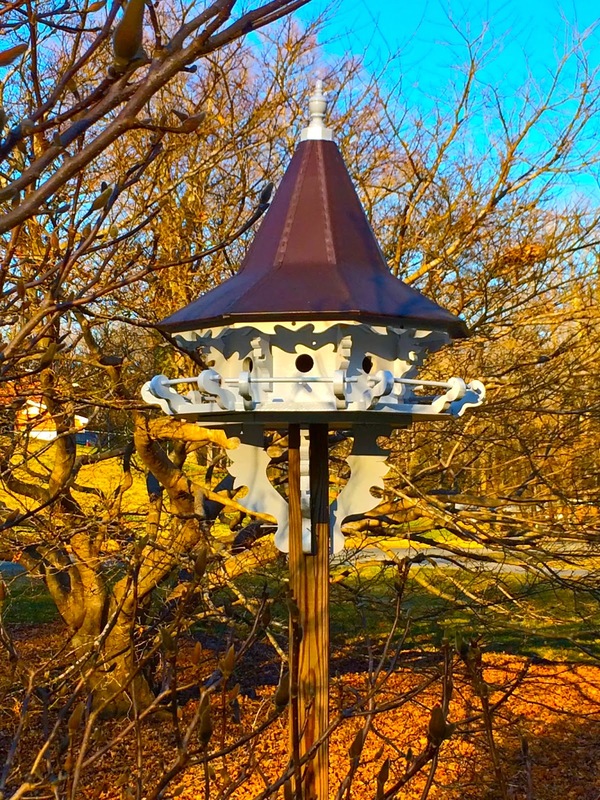 LOVE that birdhouse! I'm going to stop sending my husband to auctions and go myself, I guess! Kirby - you really must!! 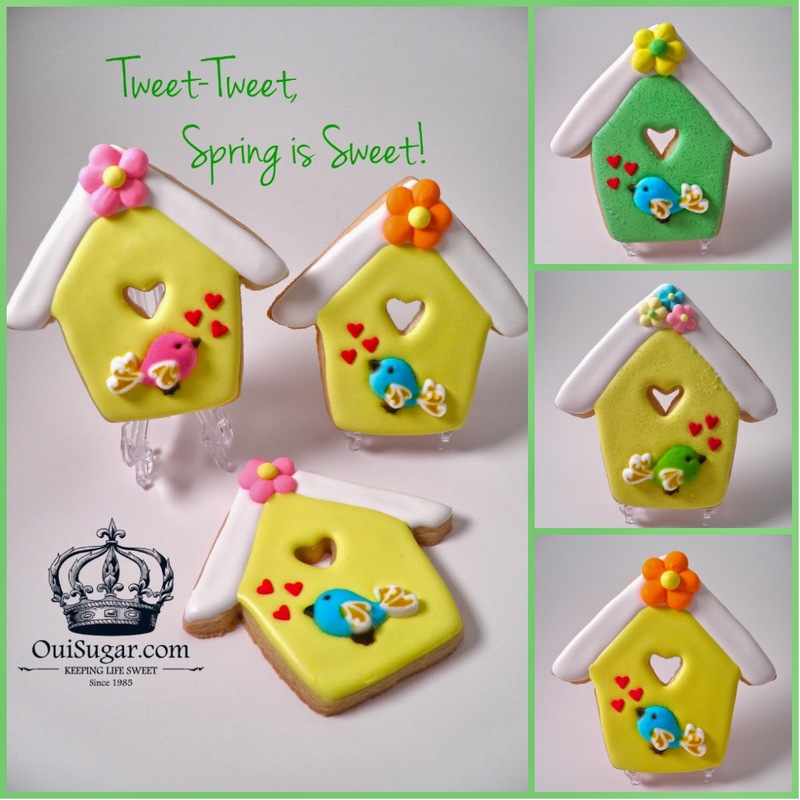 Your Tweet tweet cookies look fabulous! Thanks for bringing them 'round again for us all to enjoy! 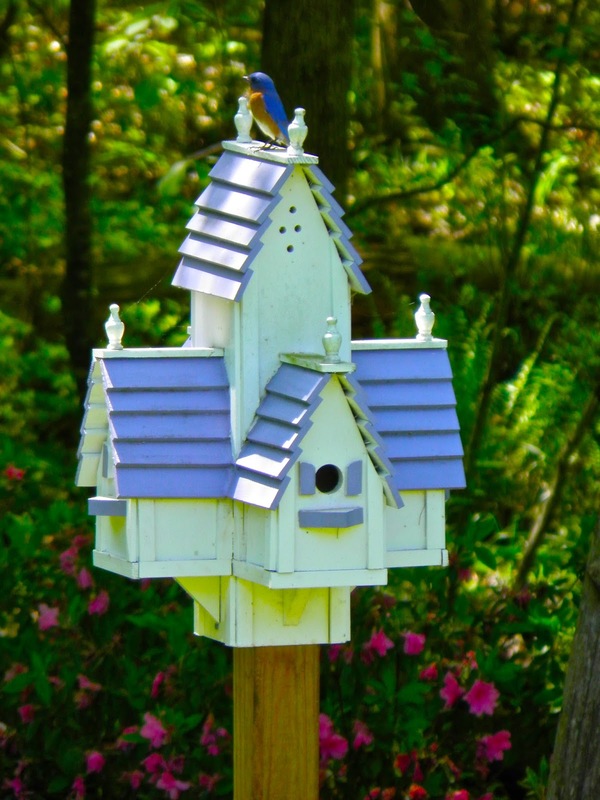 Just LOVE those Birdie Houses! 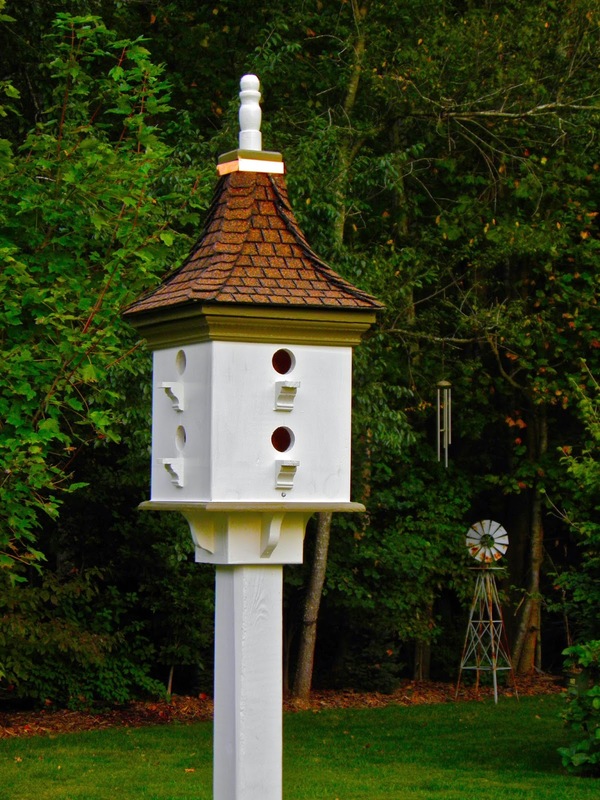 Love your amazing Bird House Story........Please tell Todd he can make one for me too...........I be happy to wait and wait and wait for one of those beauties! Saw my first bluebirds of the season this morning! They were out in my Lilac bushes singing away! Spring must be close....although we had a few more inches of snow on Tuesday!